Again, I had no intention on taking the whole week off, but here I am back to the party with nothing to share in between. Instagram has become my summer blogging platform (I kid, kinda). The truth is I have been busy working on a big patio perk-up, in between spending time with my kiddos. I hope to have it ready to share soon (which could be forever, because, well, summer). Thank you for sharing all your wonderfullness with us even through the summer months! I love seeing what other creative people are thinking and doing! Remember, If you are pinning one of these great ideas for yourself, please click over to the original link and pin from there – thanks! 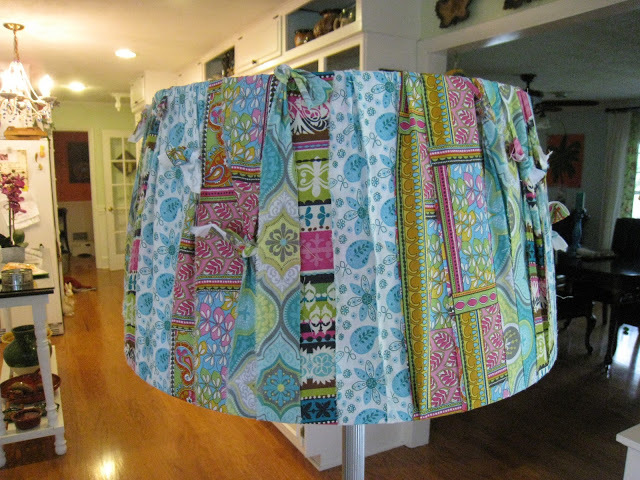 First up, an easy and super cute update for a lamp shade brought to us by Lyn. Isn’t it cute?? Next, Kristi shows us how to make an adorable set of customized chargers! Love this! So fun and funky! Lastly, I really do eat a lot more fruit in the summer, do you? 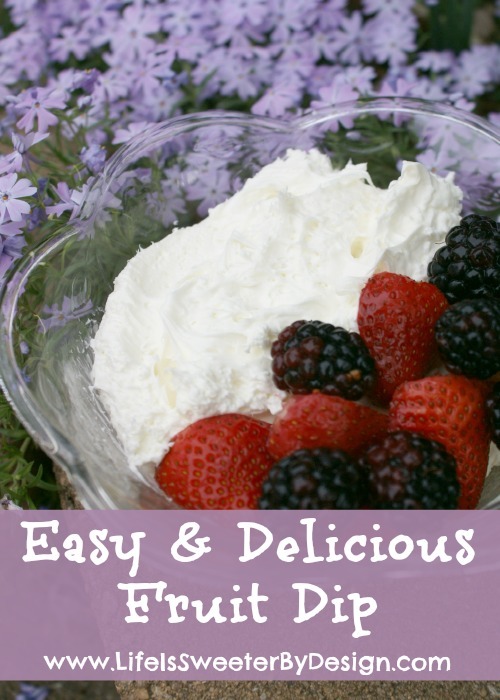 This fruit dip from Jamie sounds delicious and super simple – my favorite combination! Make sure to check out the other hostesses and see what they featured and be sure to follow our pinterest boards so you can see what catches our eye each week. 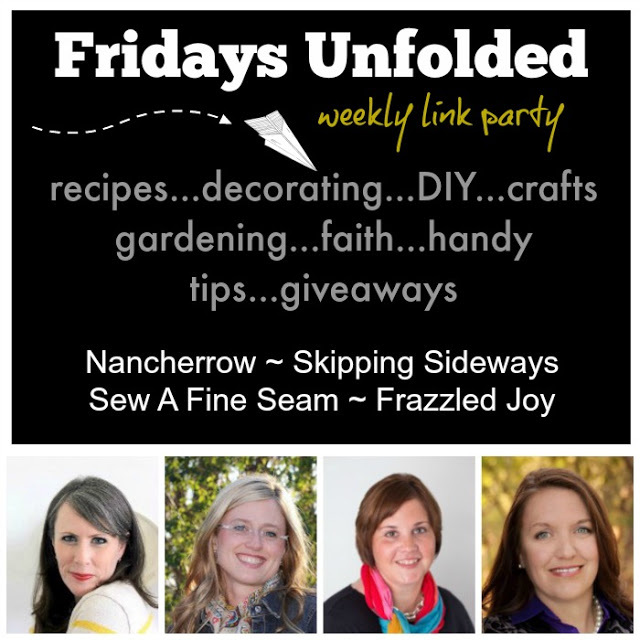 Now let’s see what unfolded for you this week! I totally didn’t anticipate taking a mini vacay from the blog and yet that is exactly what I did! I have been busy and have some fun things to share, so I hope to see you back here soon for regular blogging ~ but really it’s summer!! If you follow me on instagram you might have clued in that I am working on our patio still. 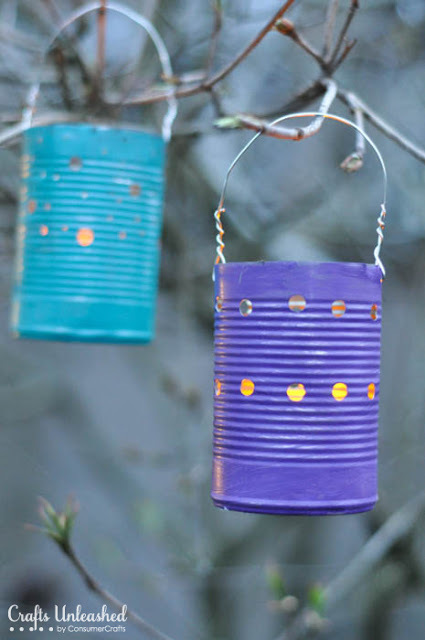 So, this week I have some outdoor ideas to share with you. 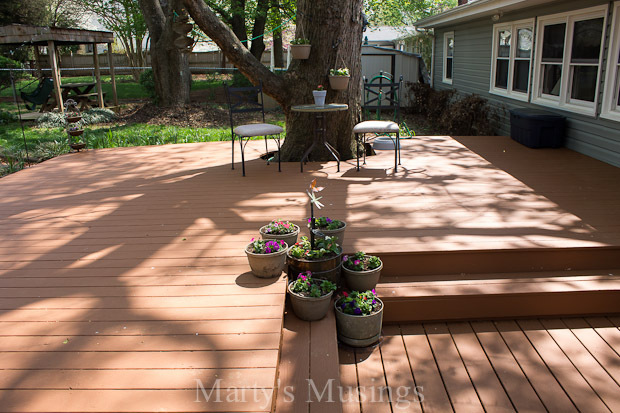 First up this deck restoration from Marty’s Musings is awesome! What a great outdoor space and with some TLC they really brought it back to life! We have no light in our backyard (other than the awful bright flood light kind, so once dusk hits it’s pretty much useless. I’ve been brainstorming all kinds of light options and I think these tin can lights from Tara would be a cute addition and very cost effective! 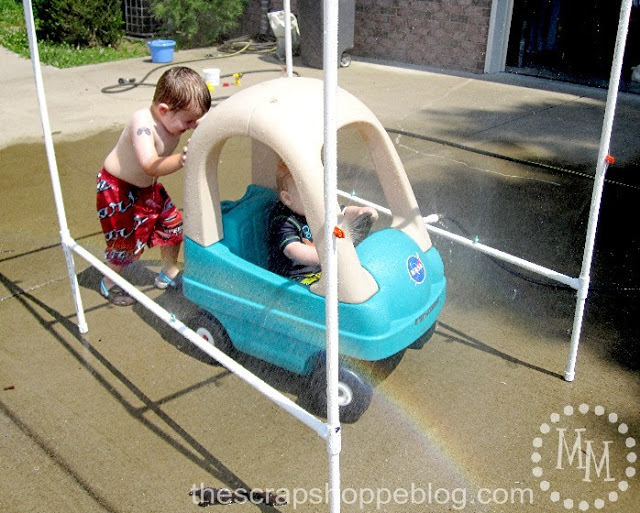 I spent the day with my cutie pie almost 2yr old nephew this week and when I saw this awesome DIY “car wash” Michele built I knew it would be something he would love!! Be sure to grab a button if you were featured and be sure to link it back to this post. 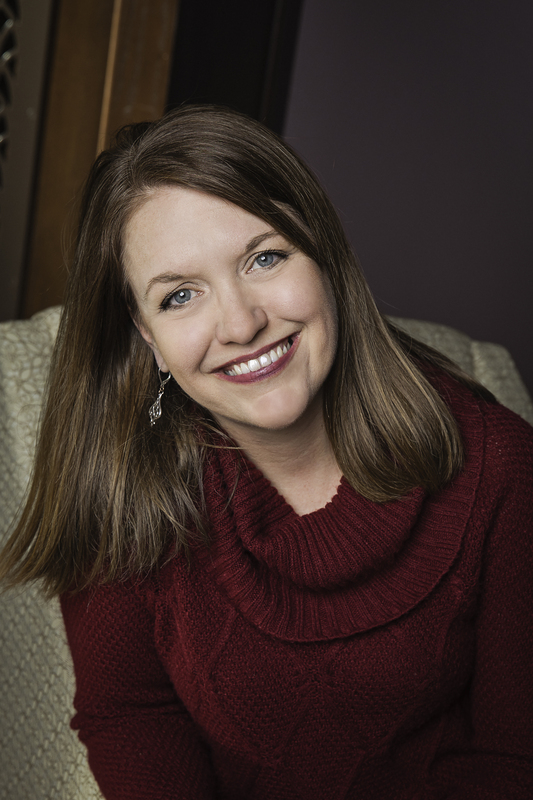 As always check out the other hostesses and see what they picked for their favs this week, as well as our pinterest boards. Now let’s see what unfolded for you this week!! Hey there friends!! Ready to party?? So glad to have you here this week. We will be taking next week off as we celebrate the 4th with our families. 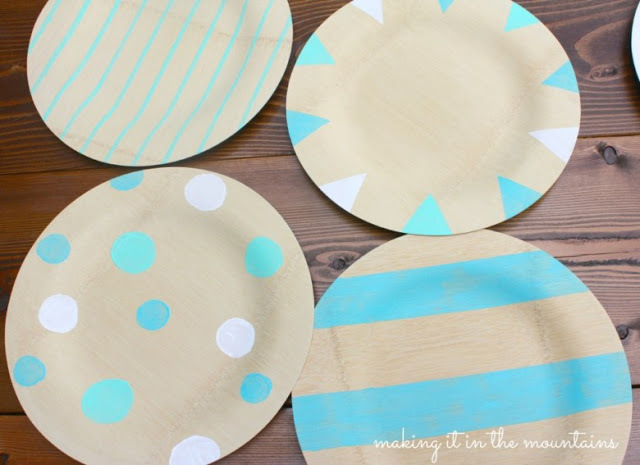 This week here on Frazzled JOY I shared our refreshed patio set all styled up for summer. 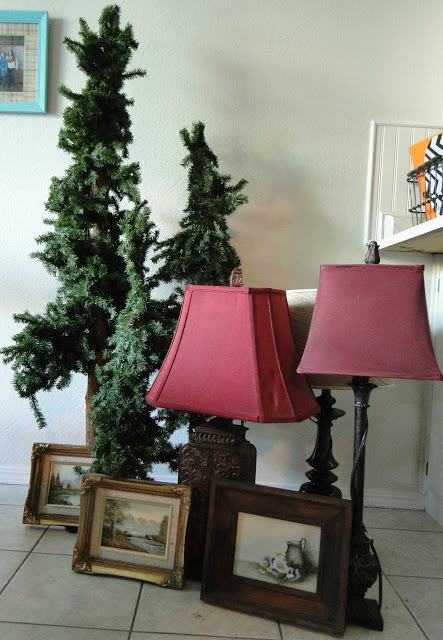 And, I shared some great garage sale steals I found recently. Love thrifty shopping!! 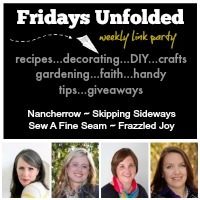 My favs this week are quite the mash-up, but then again, that’s the fun of these linky parties – so much great stuff!! 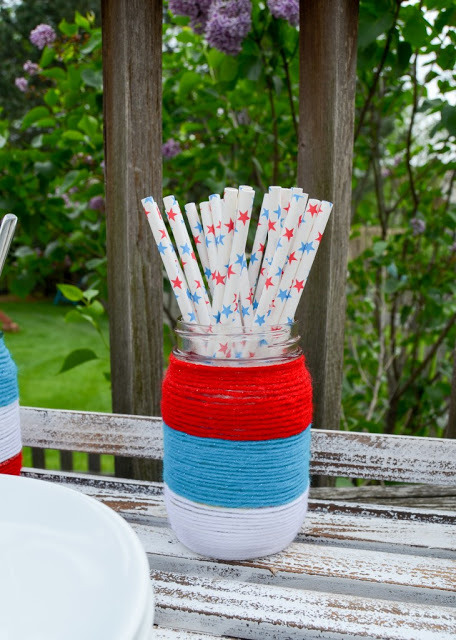 First up, if you need a fun game for a 4th of July gathering, check out this cute DIY American flag punch pinata from Alli. So cute!! 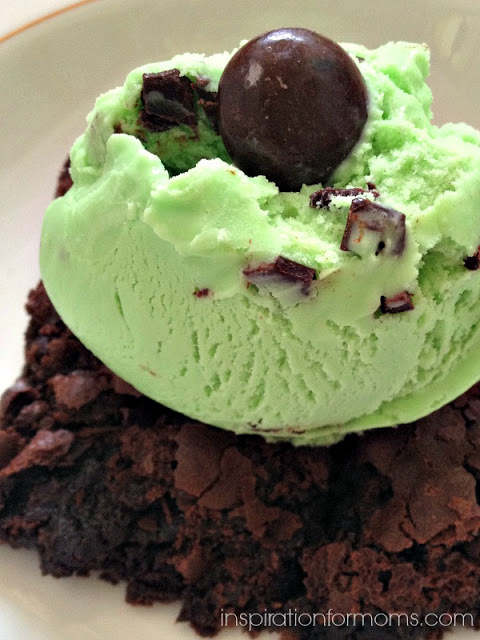 Next, I love mint and chocolate together and this awesome desert from Laura looks super simple and super delicious!! Lastly, I am picking this post from Nicki for this cute outfit! 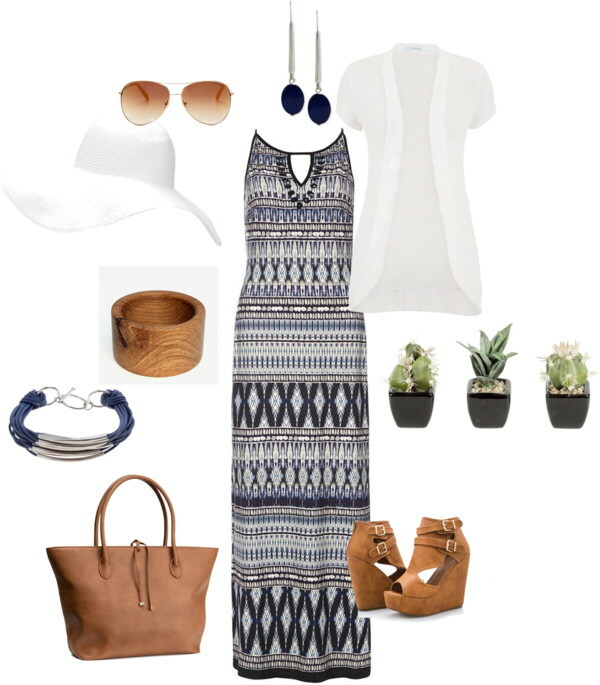 I love long sundresses in the summer and I love that she got her inspiration for the outfit from a room! Thanks for sharing this week! 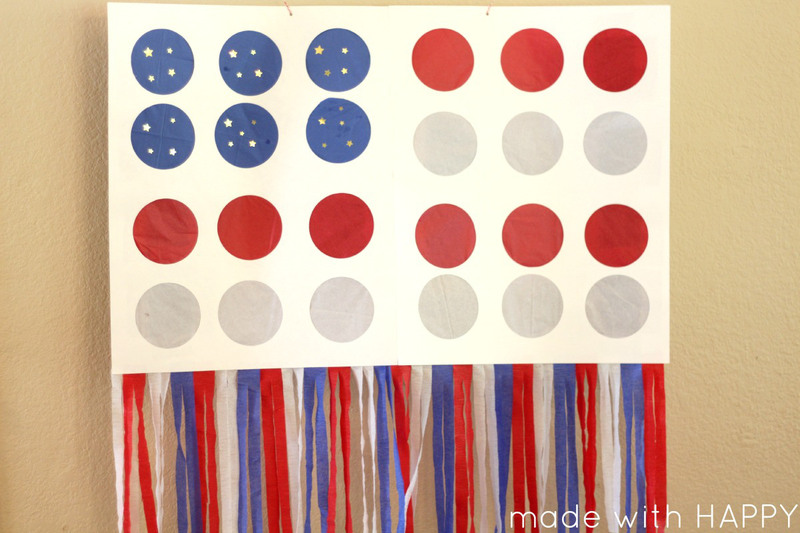 Remember we will be taking next week off for the fourth! Enjoy celebrating and we will see you back here the next week with features! For me it’s hard to believe that it’s the middle of June. And for the first time it’s not because the time seems to being going by quickly. We have been busy, our days have been full, but I am thankful that we still have a lot of summer to go! 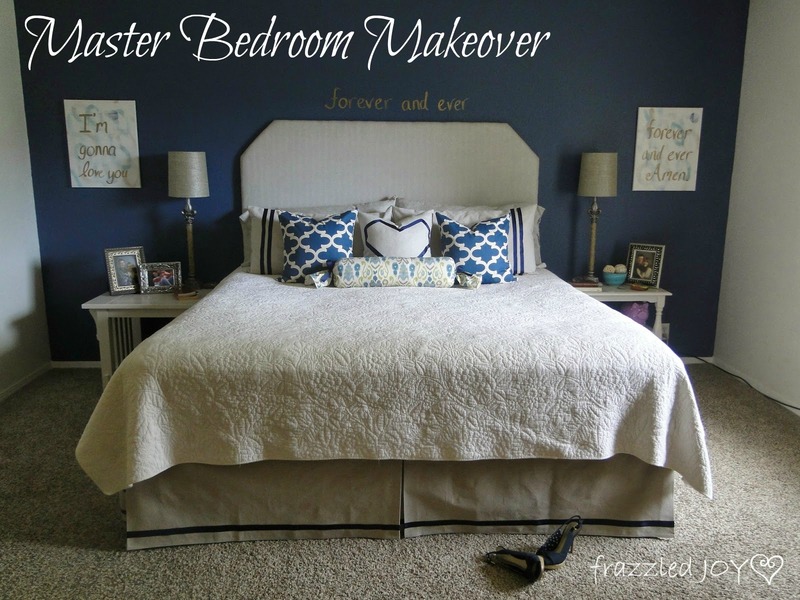 This week on frazzled JOY I made another stop on the “Our Home” tour – the Master Bedroom. 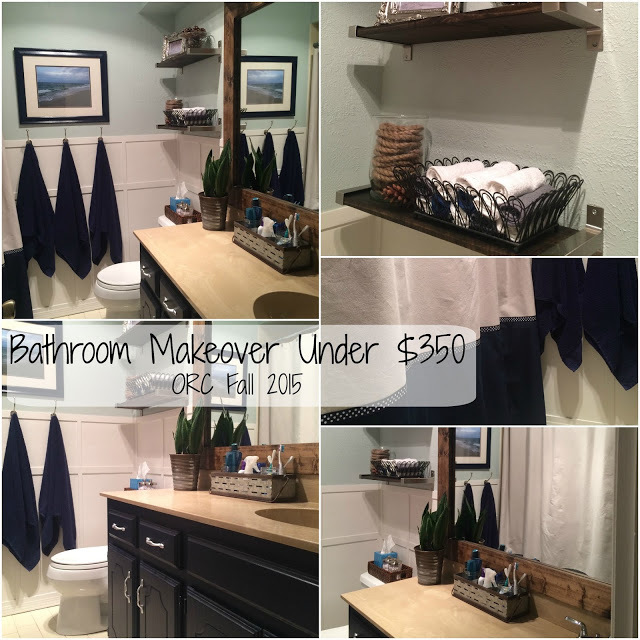 It’s been a year since this space was completed and we still love it! 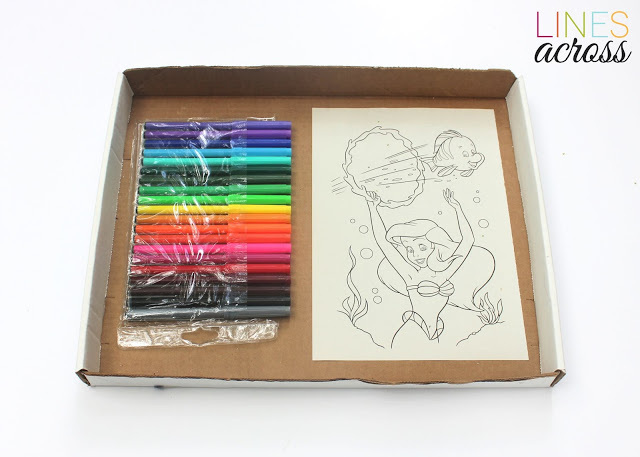 First up, going on a road trip and need an inexpensive way to entertain your kiddos? Try one of these cute DIY car games from C.R.A.F.T. TRIPS: Car Games for Kids from C.R.A.F.T. 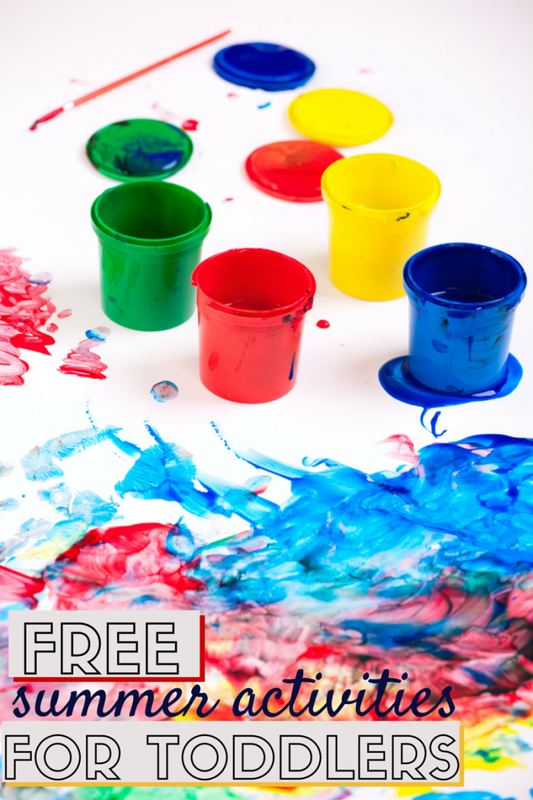 Next, looking for some free ideas for entertaining your toddler? This list from Krystal is full of simple activities that any little one would enjoy! 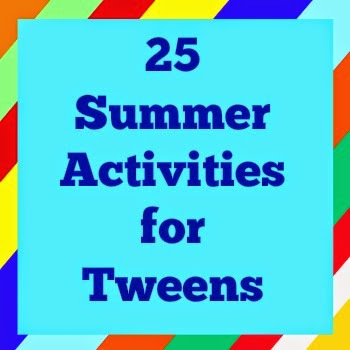 Or, maybe you have a kiddo that’s a little older, say a tween, how about this great list from Bonnie. 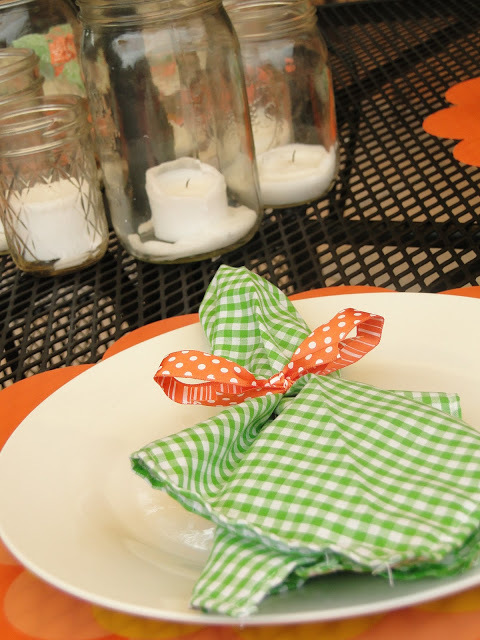 This one has a many fun ideas that I know my tween would love! 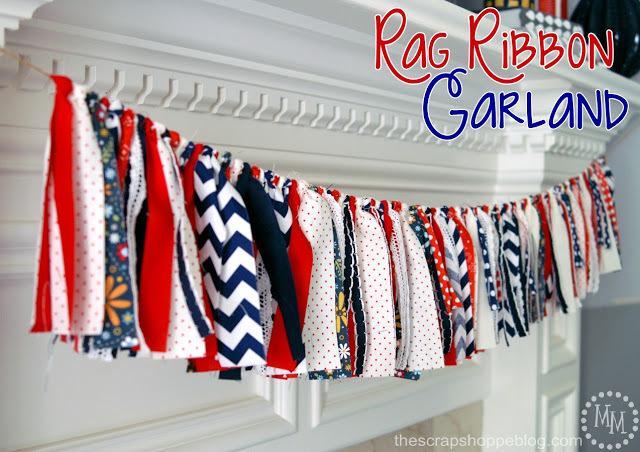 Have a crafty kiddo and maybe a rainy afternoon (we’ve had our fair share of those)? 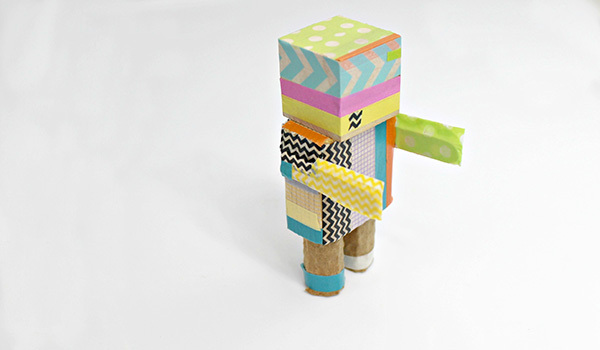 Try this cutie pie DIY robot from Comic Con Family. How fun is this little guy?? Well, those are my picks for this week. Be sure to grab a button if you were featured and be sure to link it back to this post. Time to party!! Hope y’all are having a great summer so far! You may notice our party will have a bit of an awkward schedule this summer, but we will do our best to keep it going each week as we can! Thanks so much for linking up with us! I love checking out all the talent! 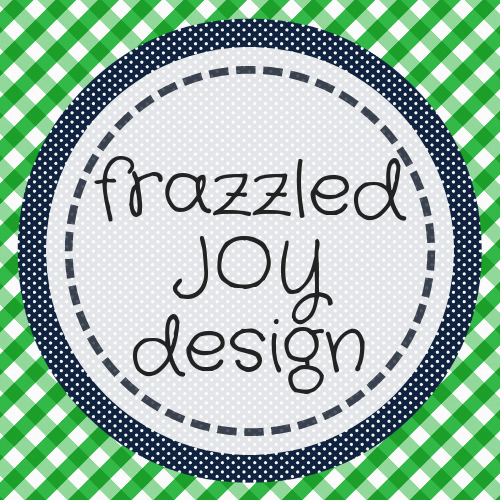 This week on Frazzled JOY I introduced a new page to the blog “Our Home” Tour page! 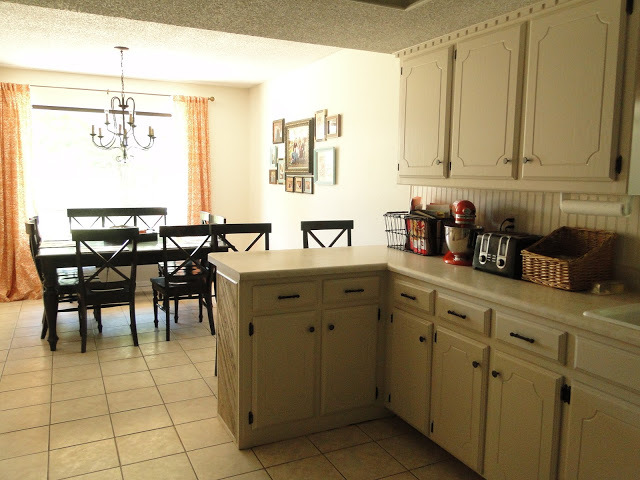 I kicked it off with sharing our Kitchen and Dining Area. I thought I would go with a 4th of July theme when picking my favorites this week since that’s right around the corner!! 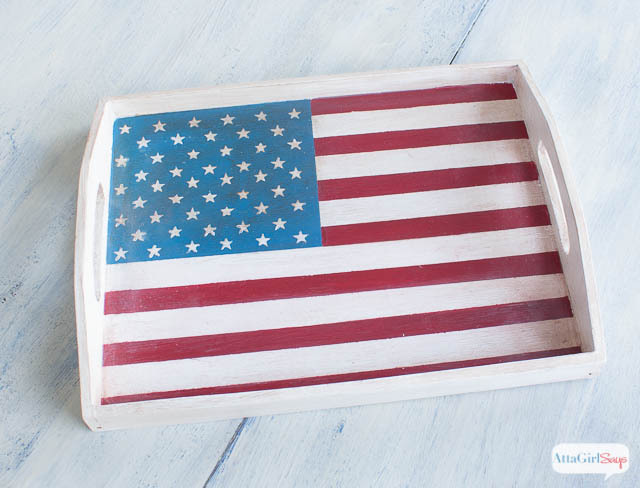 First up is this awesome tutorial for painting a flag on a wooden tray from Amy! Really you must click over and see how easy she makes it look! Next is this cute yarn wrapped mason jar from Albion Gould. 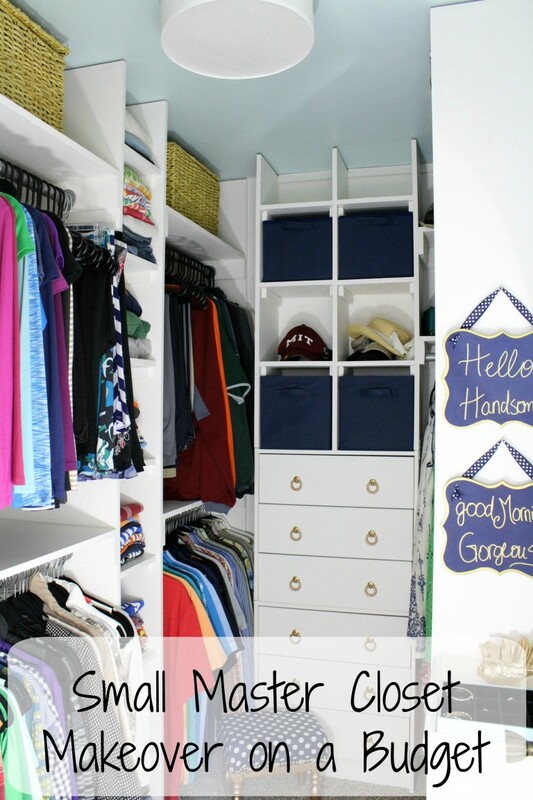 Really this could have so many uses – love!! 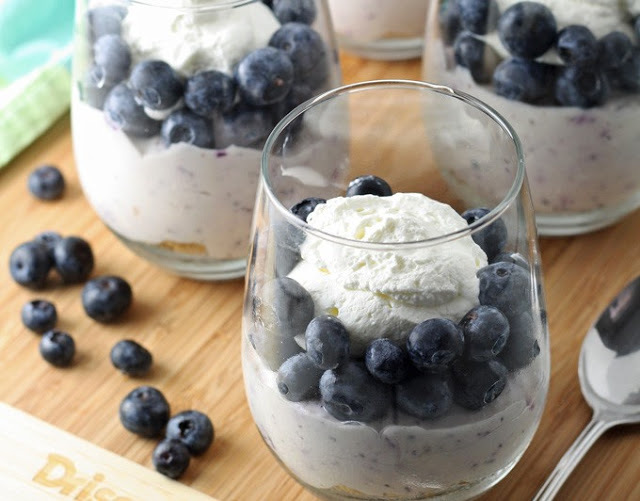 Last but not least this lovely desert from Jenny sounds so delicious and would be a great treat after a 4th of July barbecue!! YUM! Thanks again for sharing everyone!! Grab a button if you were featured and be sure to link it back to this post.